1) Choose the flight time. If you get a flight scheduled during the night then there is a greater possibility that your kid will be sleeping through some parts of the duration of the flight. In the kid’s perspective it will feel like the flight time is much shorter which will result to less agitation. 2) Take into consideration renting electronic gadgets if you don’t have one. 3) Bring snacks that the kids can munch on. Select foods that will not melt or crumble apart. Foods that are not packed with sugar are also ideal. Granola bars, licorice, cereal and cracker sandwiches are good choices. 4) Make use of the available entertainment in the flight. 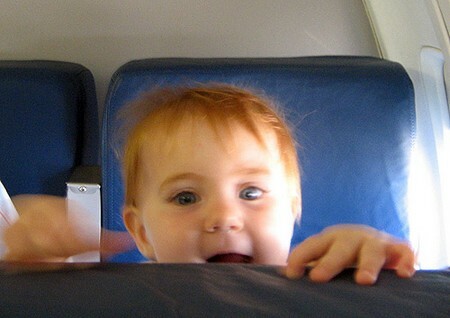 6) Wrap new toys and give them to the kids once you are inside the plane as reward for good behavior. 7) Alternate between snack time, reading books, playing music, and toy playtime. 8) Review fundamental safety strategies with your kids. Let the kids participate in creating a safety card. Inform them to keep the cards with them at all times. The card can contain identification details like the first names of mom and dad. It will also be smart to include in the card the name of the hotel that you are staying in. 9) For kids around the age of eight you can let them create an itinerary that you can afford. Give them a target budget and provide a calculator for them to use for computing. 10) Let the kids create a memorabilia project. Before your home-bound flight, print some of the vacation pictures. Buy a scrapbook and allow them stick down their photos either with ordinary tape or the double-sided ones. They can put labels and document their memories with special pens. Look ahead and think in advance and reduce the possible obstacles that you might encounter. Let each kid bring their backpacks. This will give them a sense of responsibility. Also, a backpack is better than a rolling luggage because the said type of carry on can slow the kids down. Remember that backpacks should also have luggage tags, so that if they are left behind it will be easier for anyone to return them to you. Take advantage of this time to expose the kids more to learning materials that are appropriate for your child’s age such as flashcards and books. Though more expensive, it is safer that children younger that three-years of age sit in a child safety seat (this should be approved by FAA) in his or her own seat, instead of them seating on someone’s lap. Avoid bringing toys with small parts. Check the website of the transport authority of your country and read and understand the newest carry-on luggage restrictions.